OLDTOWN break MA20 support level. How about MA50 support, is that strong for it rebound? Immediate resistance @ RM2.20 level. Subsequent resistance @ RM2.28 level. Immediate support @ RM2.17 support level. 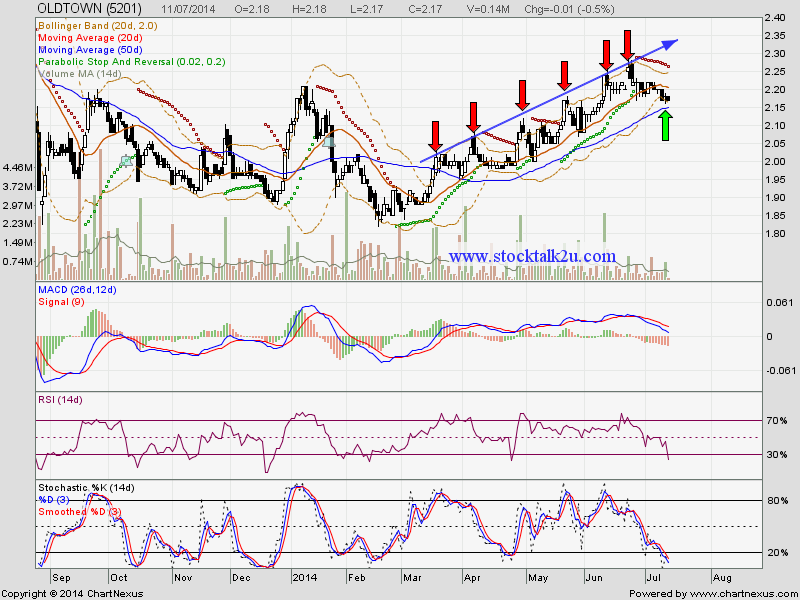 Subsequent support @ RM2.15 level, which is MA50 support level. At this moment, MA50 is crucial support.